The world breaks everyone … those that will not break it kills. It kills the very good and the very gentle and the very brave impartially. If you are none of these you can be sure it will kill you too but there will be no special hurry. All stories, if continued far enough, end in death, and he is no true-story teller who would keep that from you. 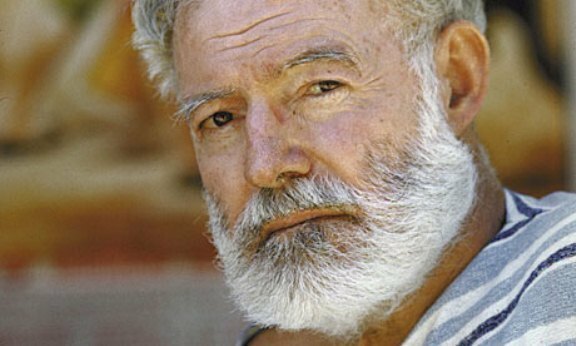 Hemingway was an American author and journalist. His economical style strongly influenced 20th-century fiction. He won the Nobel Prize in Literature in 1954. He published seven novels, six short story collections, and two non-fiction works, including The Sun Also Rises, A Farewell to Arms, For Whom the Bell Tolls, and The Old Man and the Sea. Follow this link to see where Ernest Hemingway slept. My absolute favourite male writer of all time. Vaya con Dios, Papa. It moves me every time looking at his words.